An example of the style of clothing worn by the working class around the time of the French Revolution, characterized by the long trousers worn by men, rather than the breeches. 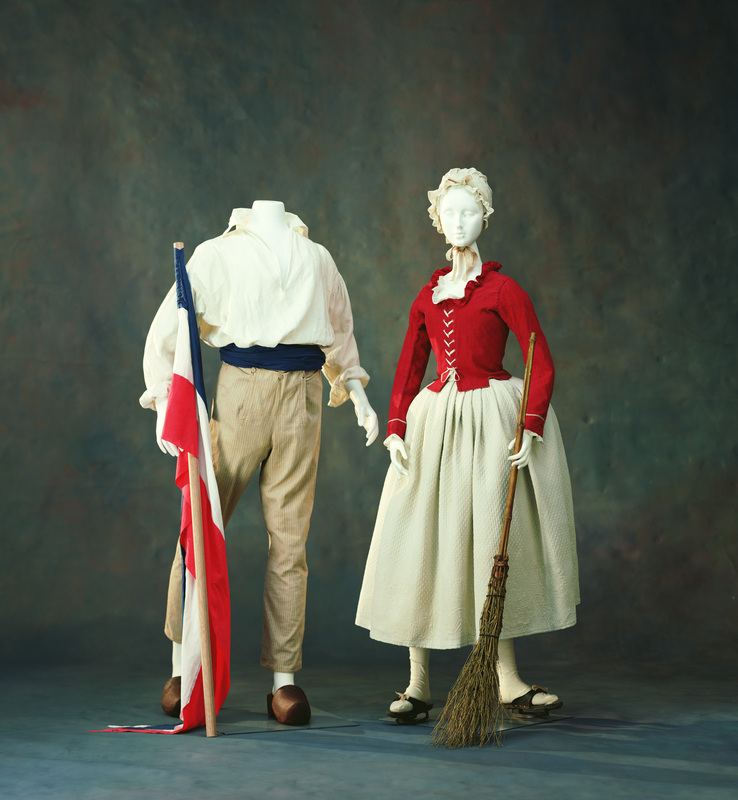 With the outbreak of the revolution in 1789, people began to use fashion as a means of expressing one’s ideology. The revolutionaries regarded luxurious and extravagant silk as the enemy of the revolution, replacing breeches and white silk stockings - the symbol of aristocracy - with the long trousers worn by the lower classes, in an attempt to distance themselves from the previous era.